Shaving is an activity that most women hate but, one can’t ignore its importance. 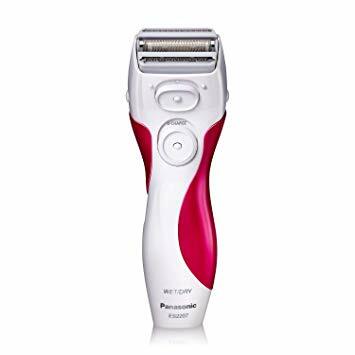 Further when you have the best cordless women electric shaver you will find it very easy to get what someone want from a shave. Market is overcrowded by electric razors but all of them are not that effective what they are claiming. So, we have chosen three best women electric shavers for you which offer the most smooth and silky shave. They are the best for facial, legs and removal of other unwanted hair. Along with performance they are extremely comfortable and you will love shaving after using these shavers. When you are women, it seems like you are paying more for the ladies version of a man’s product. But this is not the case with the great quality shaver Panasonic ES2207P. This shaver comes with amazing features and make the maintenance of your beauty fast and efficient. Sensitive skin users will love it because of its skin friendly nature. Moreover, this shaver offers multiple options to manage any area of your body which need attention. Being suitable for both and dry use you can shave easily under a shower or after a bath. In the shaving unit there are three blades which make smoothest and closest shave possible. The three blades are capable of sniping off most of the hairs in one single pass. This minimizes the shaving time as much as possible. The Panasonic keep all the blades as sharp as possible. Further the blades are independent to one another so they stay in contact with your skin all the time following the shape of hair on your body. This shaver also features a pop up trimmer which is for trimming longer hair. Blades of the trimmer are sharp, durable and hypoallergenic. In addition, you will see a protective foil to save you from any irritation. ES2207P has an AC charger which mean that it can be used while plug in. In the box you find cleaning brush and traveling pouch. Brush will keep the blades durable for a long period and the traveling pouch will make possible carrying of this buddy with you wherever you go. This Braun series in not only a shaver but an epilator and trimmer as well. It is for such women who are looking for single device to take care of all her beauty regime needs. 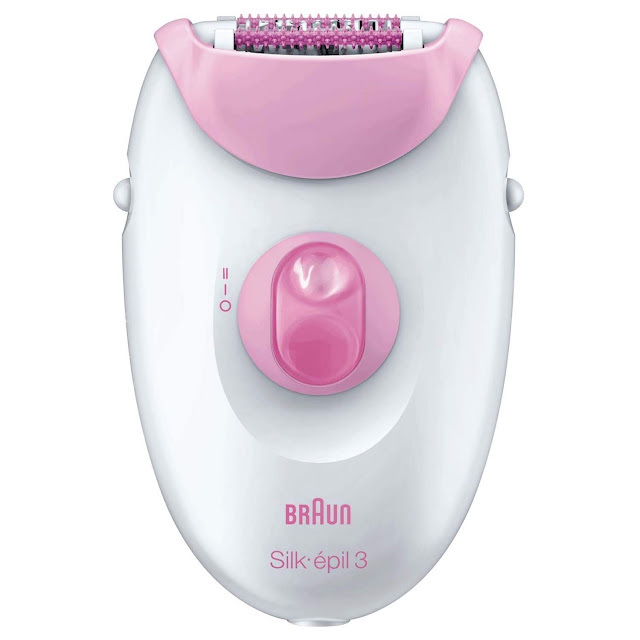 So, any user who want to perform multiple actions with a single tool, Braun series Silk-epil is the best choice for them. This hair razor is an epilator which will remove hair by pulling them out of the root. In this way your skin will stay smooth for three weeks and free from hair. Head is designed wide and come with a MicroGriptweezers technology, thus removes hair with precision. The heads can be pivoted in different directions so, it runs smoothly on your body and even shorter hair won’t survive in single move. This shaver come with an outstanding seven extras. These are shaver head, trimmer for cutting long hair, massage cap and a skin contact cap. Alon with this you will find a facial brush which not only remove your makeup but also flake off your skin with micro-oscillation. On top of that the SmartLight enable you to see the finest hair. This is the shaver which offer the fastest and smoothest shave to both young girls and women. Its result is the same on both legs and removal of other unwanted hair. Body is compact and come with an excellent build quality thus great for traveling. Simply it is the best women’s electric shaver you can find in the market. 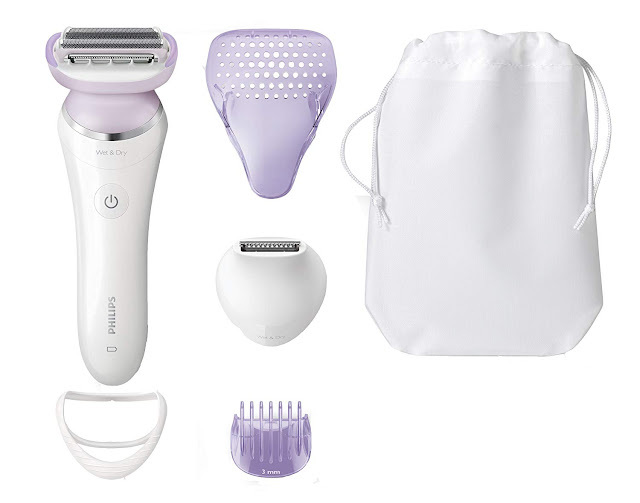 Philips SatinShave is the best shaver for legs and the removal of other unwanted hair in both wet and dry use. It makes shaving efficient and fast along with comfort. Designed with hypoallergenic foil shaving system, your skin is protected from rashes, razor burn and irritation. Further you can carry it with yourself whenever planning for vacation. In the box you will find a travel cap due to which it can be carried easily. In addition, there is a cleaning brush which maintain the blades in good condition. In this way the shaver will provide maximum performance and life time can be enhanced. Being suitable for both wet and dry use there is anti-slip grip on the body due to which the shaver stays firm in hand. Even if used with a wet hand there will be no chance of dropping. Best electric shaver for women will shelter sensitive skin and protect skin from irritation. These shavers make removal of hair convenient and easier. You can keep your legs, under arms, bikini line and facial hair under control. Let’s cut to the chase all the needs of your beauty regime will be fulfilled by these shavers.